In Texas, ownership of a piece of land can take shape in two different categories, surface ownership and mineral rights ownership. These two categories can be maintained by one individual or multiple individuals. Additionally, these forms of ownership can be severed and shared between multiple individuals as well. Surface ownership rights include the aesthetic properties above ground, such as a house or other structure situated on the surface. Mineral rights include any minerals that make up the soil or subsurface below the property. 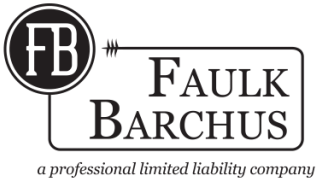 If you feel uncertain about your ownership rights or feel as though they have been violated, contact an attorney at Faulk Barchus for experienced and professional support. Similar to mineral right owners, surface owners can sell or lease their surface ownership rights. Depending on the terms of the lease or sale agreement, you could potentially claim full ownership, severed ownership, or shared ownership of the surface property. To find out more about how surface ownership can impact your rights as a property owner, contact an attorney at Faulk Barchus today.